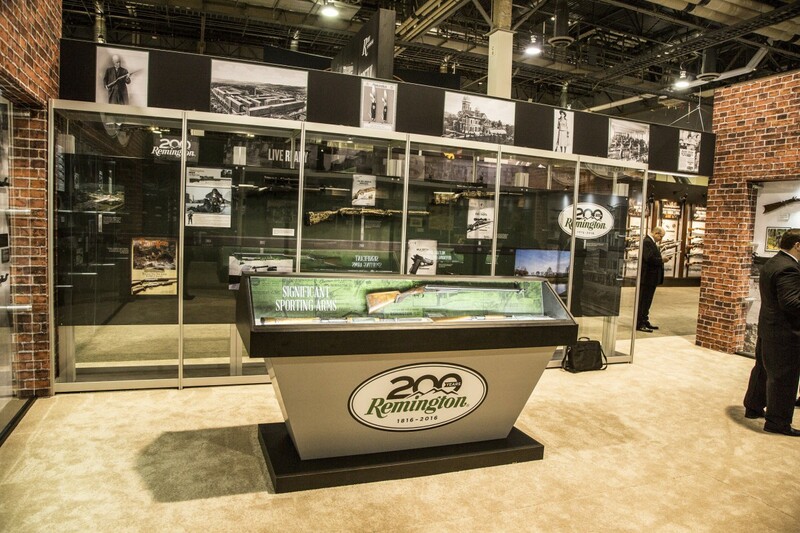 This post is about a traveling exhibit we designed and built to showcase the history of Remington as part of its 200th anniversary celebration. 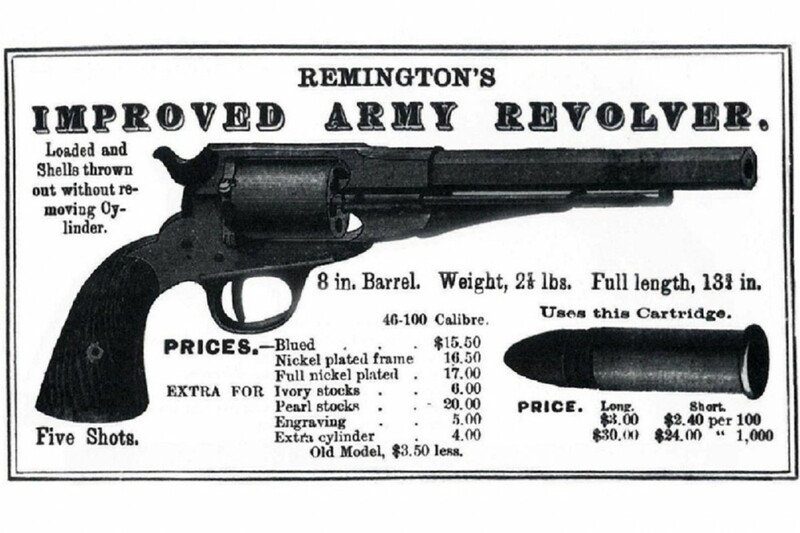 Founded by Eliphalet Remington in 1816, Remington’s is America’s oldest gun maker. Its history and its products, serving personal, military and sporting needs, have played pivotal roles in the history of both our country and the world. 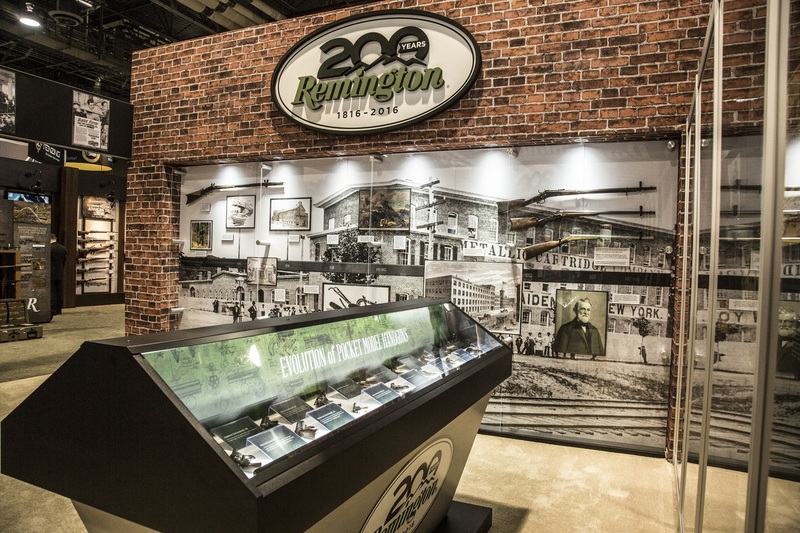 This 1,200 square foot, traveling exhibit showcases a priceless collection of Remington historical weapons. It is museum-quality, lightweight and easy to setup and take down, and constructed from a mix of custom wood components, aluminum framing and Moss tension fabric (check out the amazingly realistic brick look). The guns are are housed in custom casework with explanatory graphics. 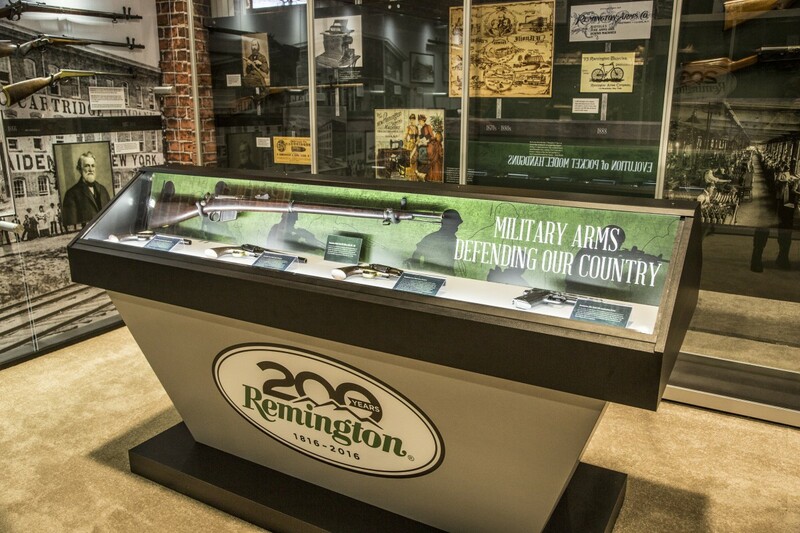 The exhibit also features a Remington timeline wall, and is scheduled to make a number of appearances around the country over the coming months. 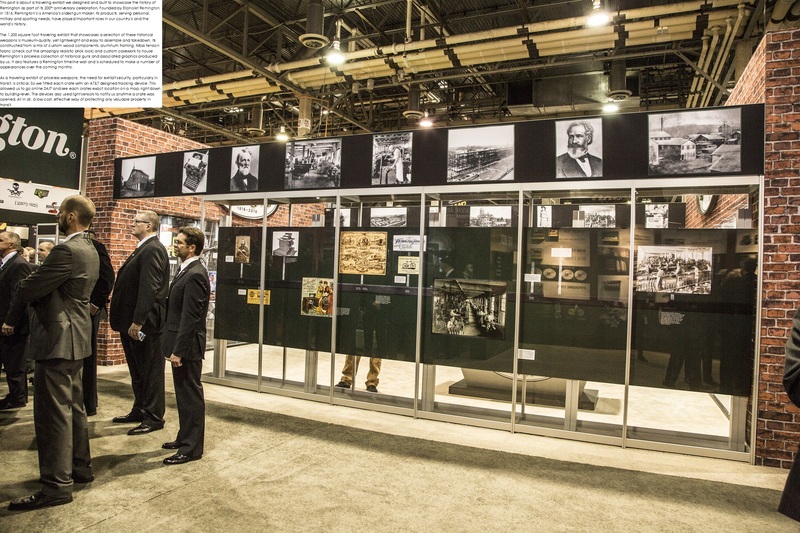 As a traveling exhibit of priceless weapons, the need for exhibit security, particularly in transit, is critical. So we fitted each crate with an AT&T designed tracking device. This allowed us to go online 24/7 and see each crate’s exact location on a map, right down to building-level. The devices also used light sensors to notify us anytime a crate was opened. All in all, a great example of how technology is creating more cost effective ways of protecting valuable property in transit.